As I have mentioned in a previous post, at the moment I am not allowed to exercise (cardo, weights) due to a weak heart and other heart issues. However, there was once a time when I was healthy enough to do so and I did it with the help of this app called Sworkit. Sworkit was an app that I heard about from my dream celeb squad friend Khloe Kardashian. She mentioned Sworkit and other apps as some of the things she used to lose weight. I tried every single app that she suggested, and it was Sworkit that turned out to be the best fit for me. When you open the app, you get to choose what type of workout you want to do. There are several sets you can choose from depending on the type of workout you want to do. 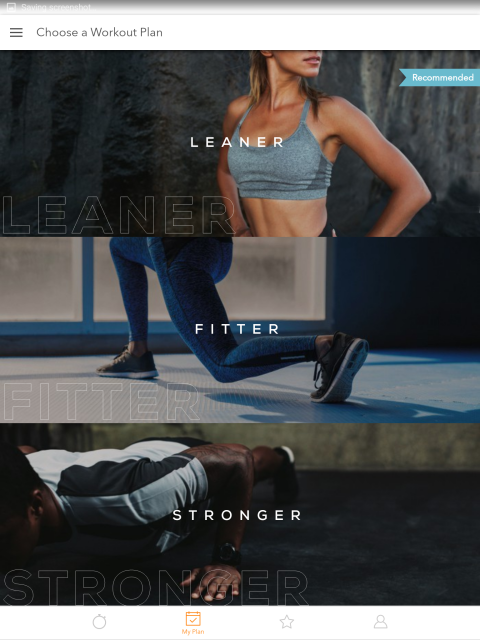 There are workout plans for getting Leaner, Fitter or Stronger, but you can also choose depending on the type of workout such as Strength, Stretching, Cardio or Yoga. There are various workout routines under each category for you to choose from depending on what you feel you need to what you want to focus on. You can also opt to make your own set by customizing the workout with moves that you prefer doing. Once you have your set selected, you can then select the how long you want to work out. It can be several minutes or sets, depending on the workout. You can also select a playlist from Spotify that you can use while you work out. I love Sworkit because the workouts focus on body weight training, which means I don’t need any equipment to be able to do the workouts. The app also teaches you how to do the moves before you start the workout. There is a voice that will guide you throughout the workout to tell you when to start or stop a certain set. The app is very useful because it also has reminders for workouts, which can help motivate you to do it on days when you don’t feel like getting up. You can personalize your workouts depending on difficulty level, type of category, stance, impact level or focus area. It’s too bad that I’m not able to workout with Sworkit these days. It’s the best app I’ve used for exercise because I feel energized after every workout. While it does give me a challenge in terms of levels of difficulty, it’s not too intense that I feel like quitting from it. There is definite pain after a workout, but it’s the good kind where you feel muscles you have forgotten had existed before. The only disappointing thing about the app these days is the cost. Annually the subscription costs $79.99 a year, or you can choose a monthly fee of $12.99. It’s a bit pricey for my taste, particularly because when I first used the app, there was a free version where you could only use a limited number of workouts per category. This time however, you only get a 30-day trial period after which you need to choose between the annual or monthly subscription. I wish they still had that free version to be honest. I don’t think I can afford the subscription when I do get the go signal from my doctor to work out again. There’s just too much financial responsibilities that I must prioritize before this app. I can live with the limited options if I get it for free. But I understand that they need to earn from it too. It’s just sad because I finally found the right fit for me then this happens. Oh well, back to set workouts on YouTube for me I guess. For those who can afford the app and are interested in a good workout, give Sworkit a try. It’s worth the money. Diet Tea for Weight Loss? Pass!